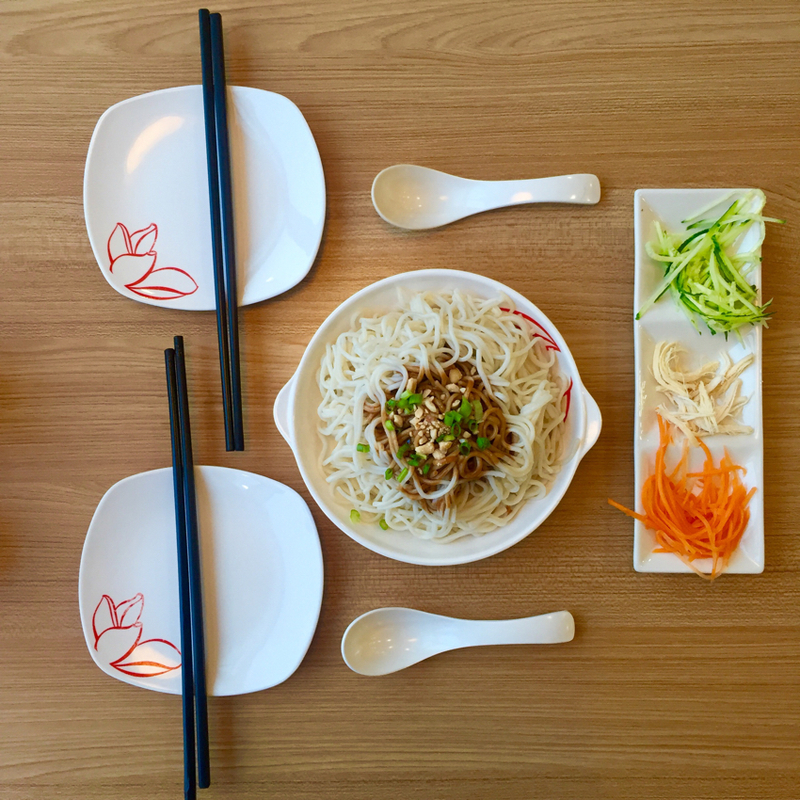 Eating is one of our favourite things in life. 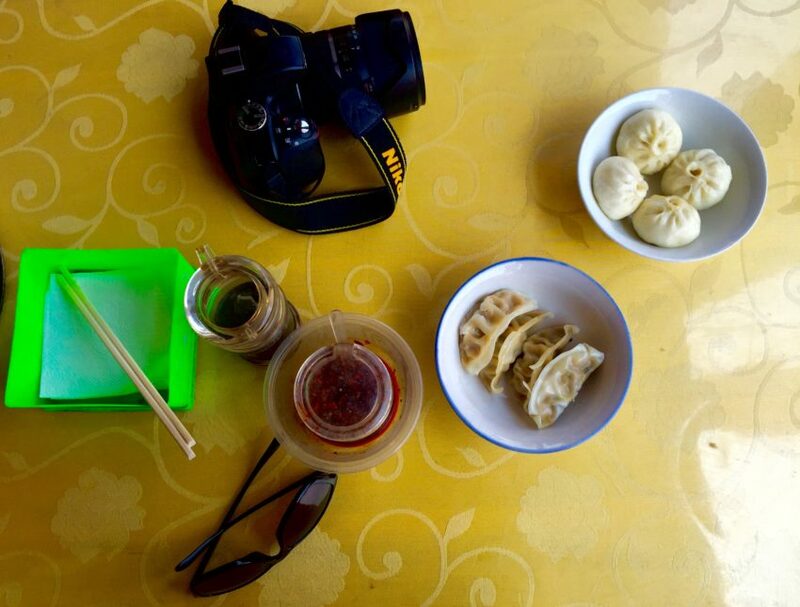 Also when we travel we love to explore the country’s culture by its gastronomy. 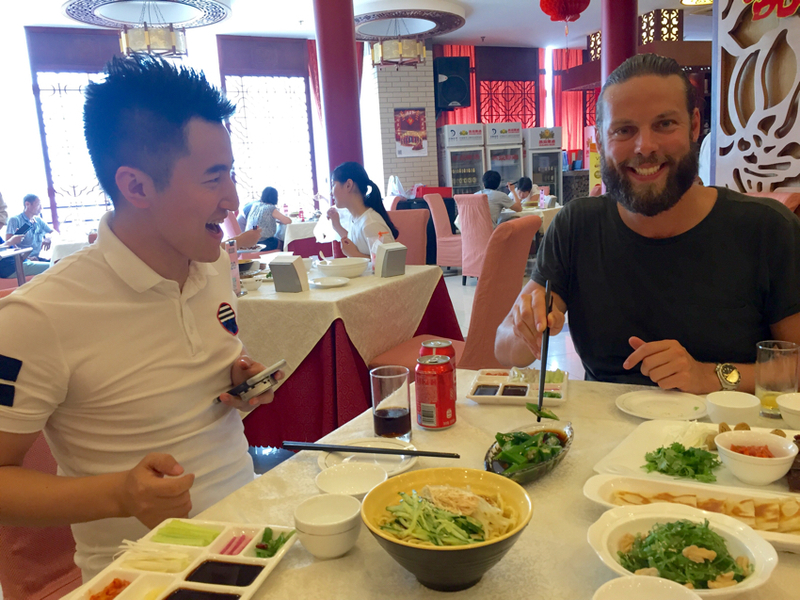 When we arrived in Beijing, we consulted our Airbnb host Feng Mao about places to eat and typical dishes to try. 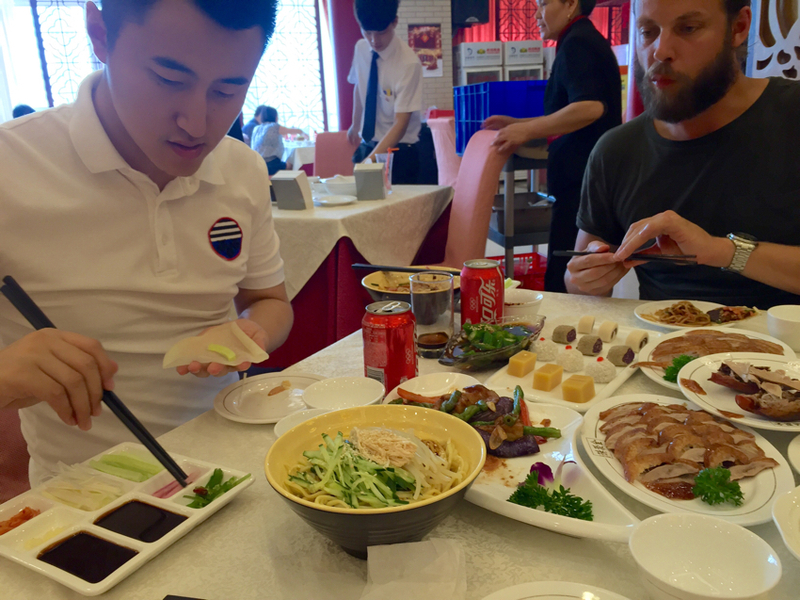 Feng not only gave great tips but was also happy to take us out for lunch! 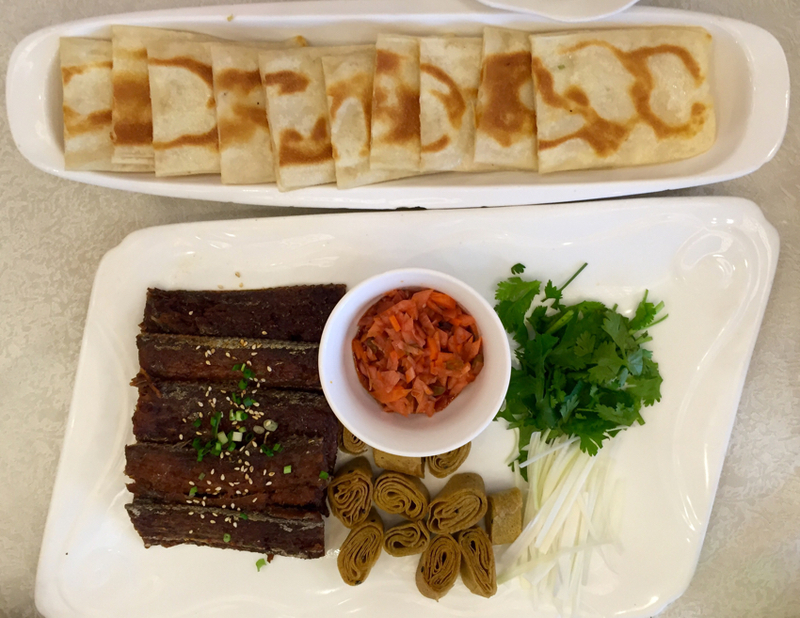 Check below his tips and our experience of eating with a local! 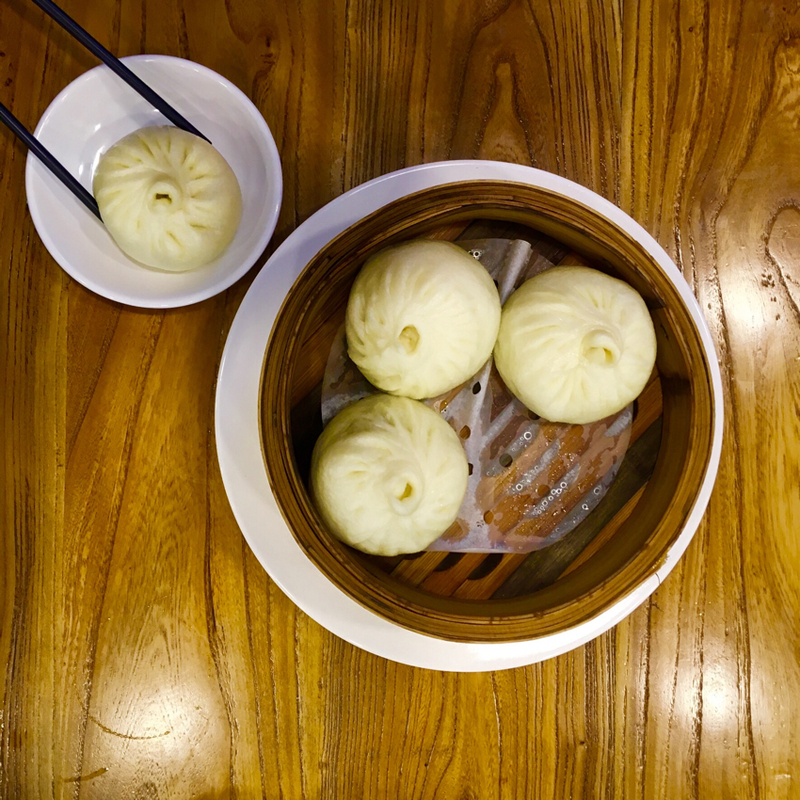 Acclaimed Beijing’s most famous restaurant, at Quanjude you can eat the city’s signature dish: Peking Roast Duck. 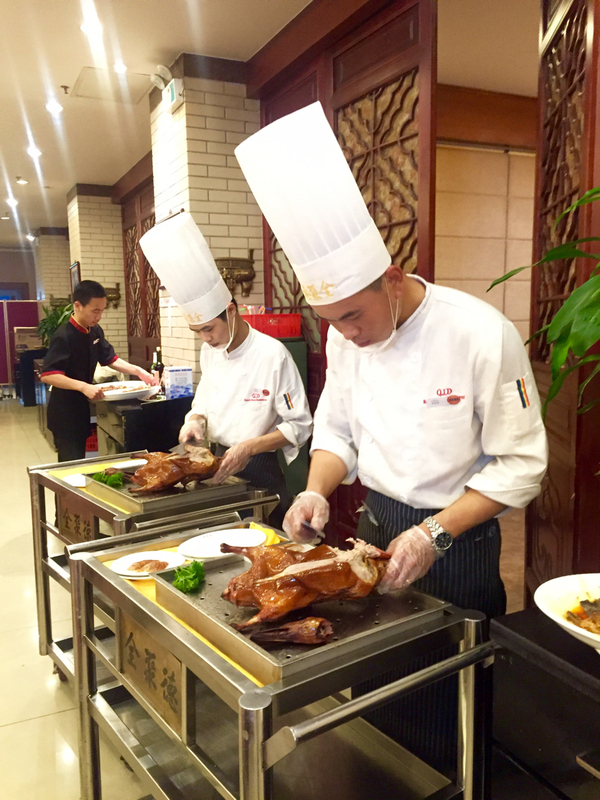 The restaurant serves five million customers and prepares over two million roast ducks annually! 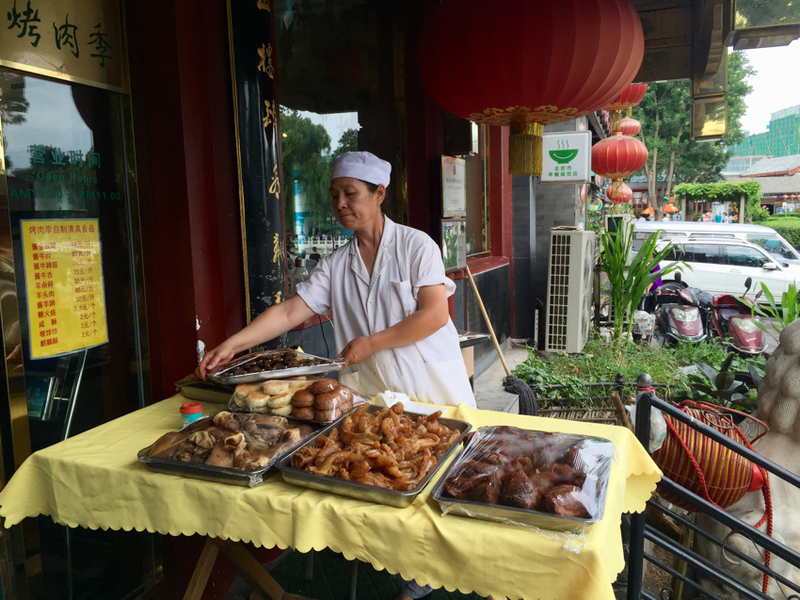 If you are visiting the Temple of Heaven, there is one Quanjude restaurant close by at Qianmen Dajie street (recommended by Lonely Planet). Feng took us to the Quanjude close to his house, at Chaoyang N Rd and we were the only non-locals there. 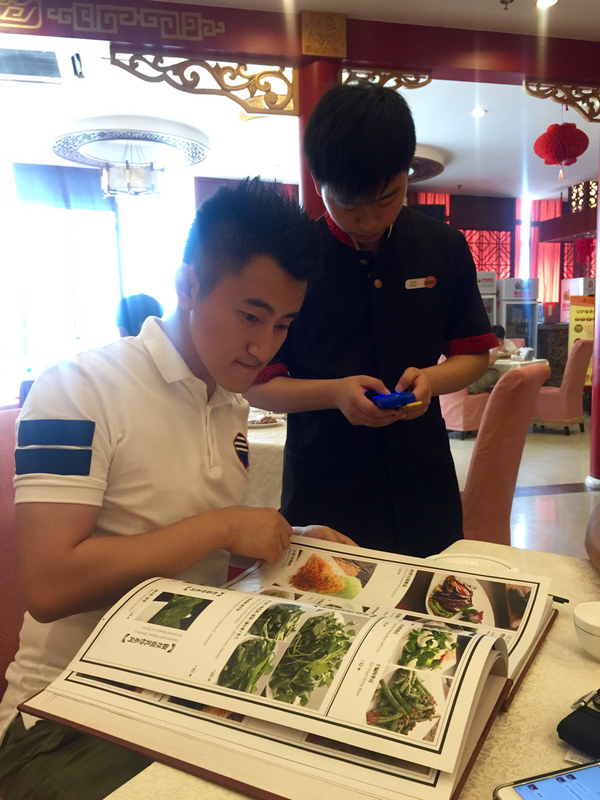 It’s a great experience to go to a Chinese restaurant with a local. Feng ordered several dishes which I bet we would never try if we were there alone and also explained to us some Chinese manners. 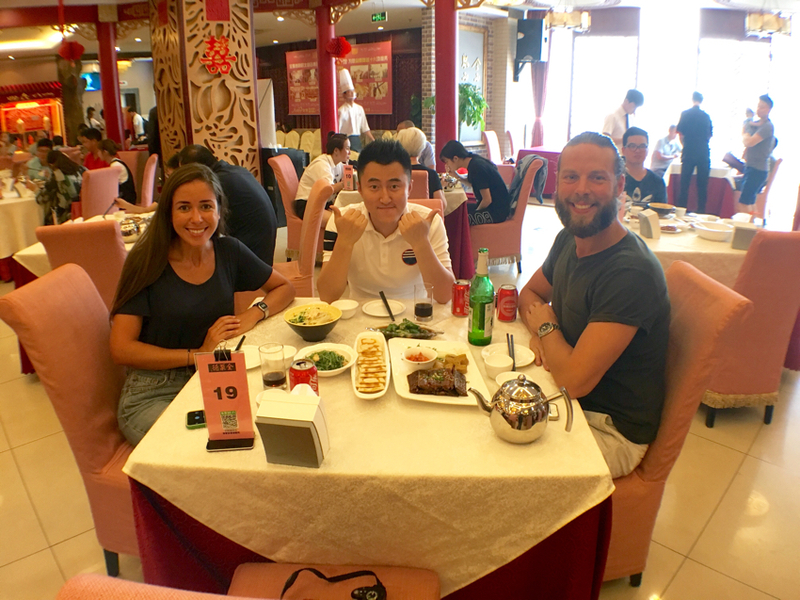 We tried several dishes, from okra in fish sauce to mackerel, from noodles to wakame and of course two different cuts of the famous roast duck – it simply melts in your mouth! The desserts were not comparable with anything we have ever tried before. 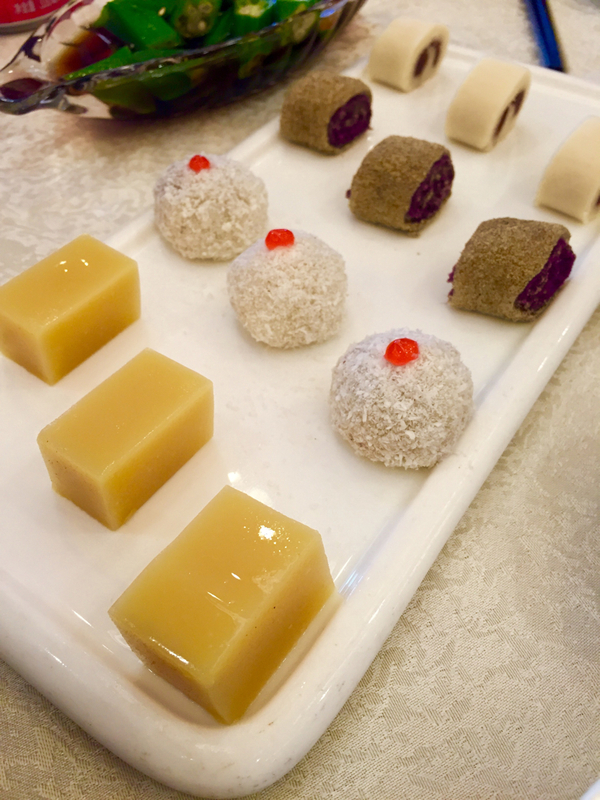 We had sweets made from chickpeas, purple sweet potato and coconut. Both flavours and texture were incredible! 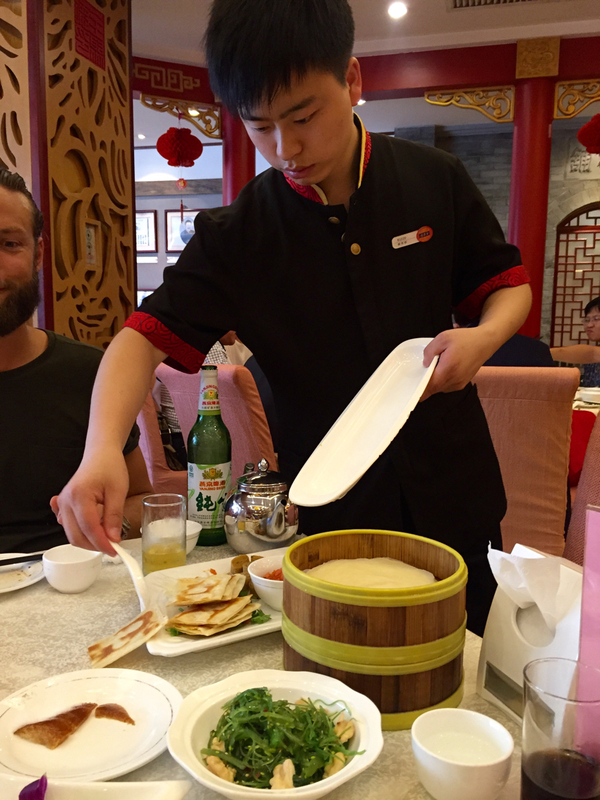 We must say that it’s not the cheapest restaurant in Beijing (roast duck ¥296) but it’s worth every yuan! The Houhai Lakes is one of the favourite areas where Beijing locals hangout. 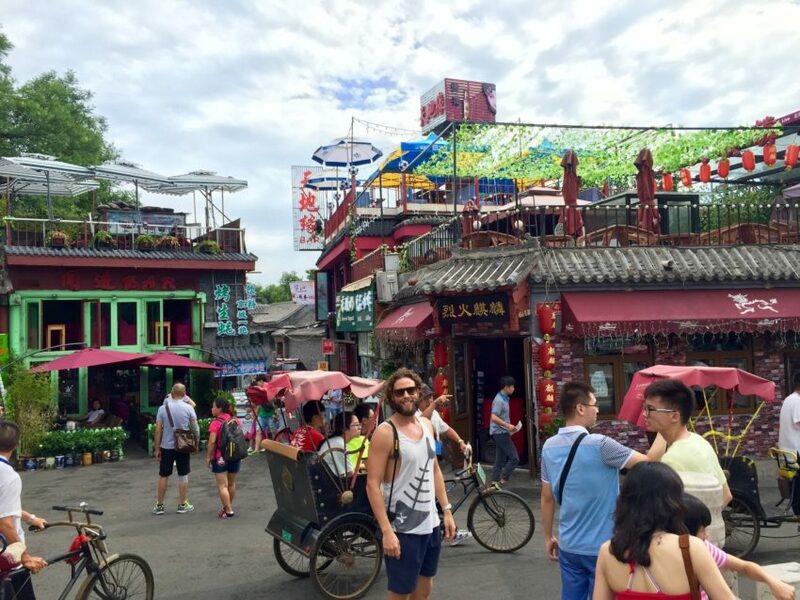 It’s a great place for shopping, spotting locals and, of course, eating and drinking. 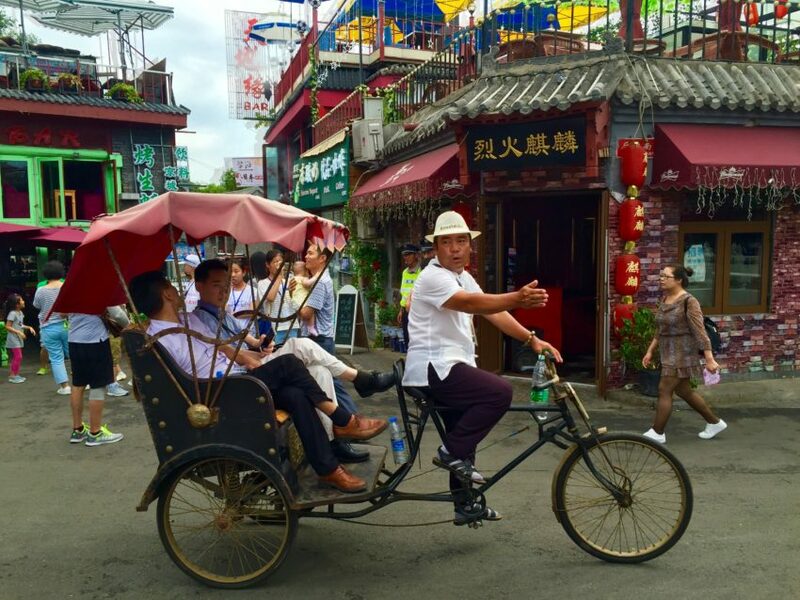 After visiting the Drum Tower (9am-5pm, ¥20) walk 10 minutes southwest to Silver Ingot Bridge or Yinding Qiao. The area is hectic but there are plenty of bars and restaurants with rooftop terraces, perfect to chill after a day of intense sightseeing. 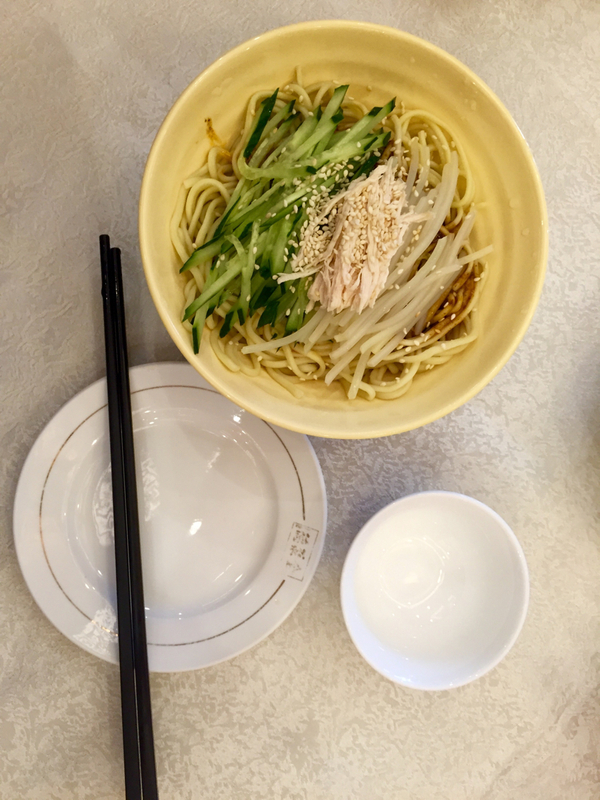 Try Chinese skewers at Kaorouji restaurant. 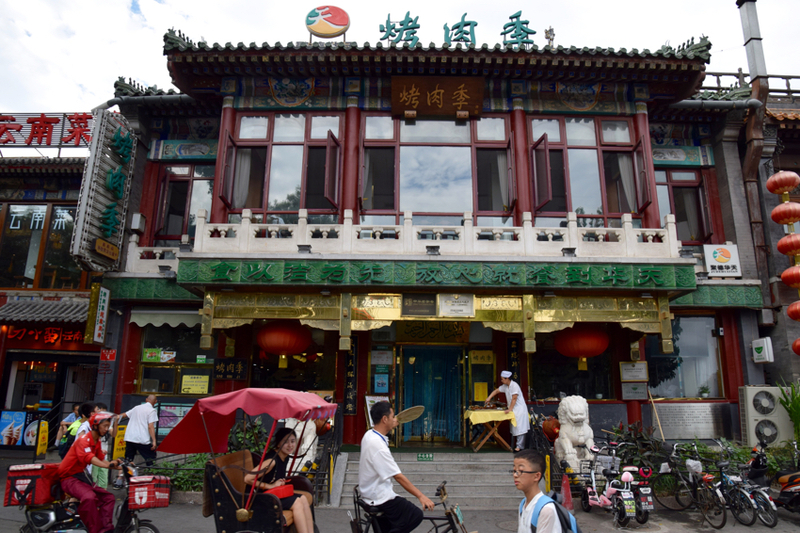 Also known as Nanluoguxiang (metro stop with the same name, line 6), this is a hip area frequented by Chinese youngsters. 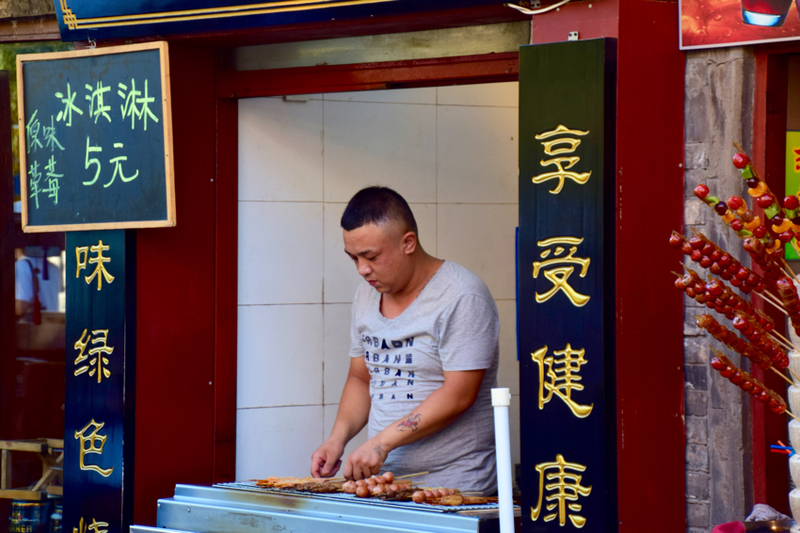 Some places offer “western inspired” foods and drinks like healthy smoothies or churros, but with still a Chinese touch. In case you are missing a good espresso, there are good cafes here with wi-fi. If you want to shop for clothing – not t-shirts written “I love BJ” but stylish looks, you can find nice boutiques here as well. 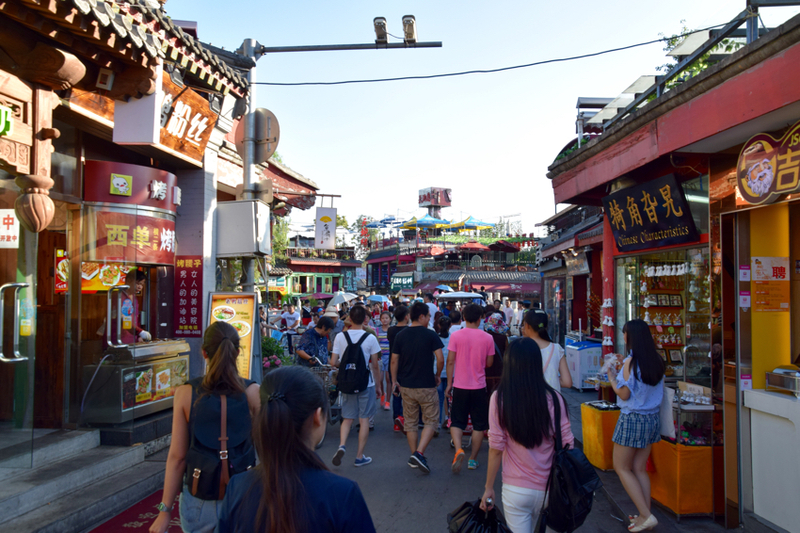 Not far from Huntong neighbourhood, this food street is also known by locals (metro stop Dongzhimen, line 13). 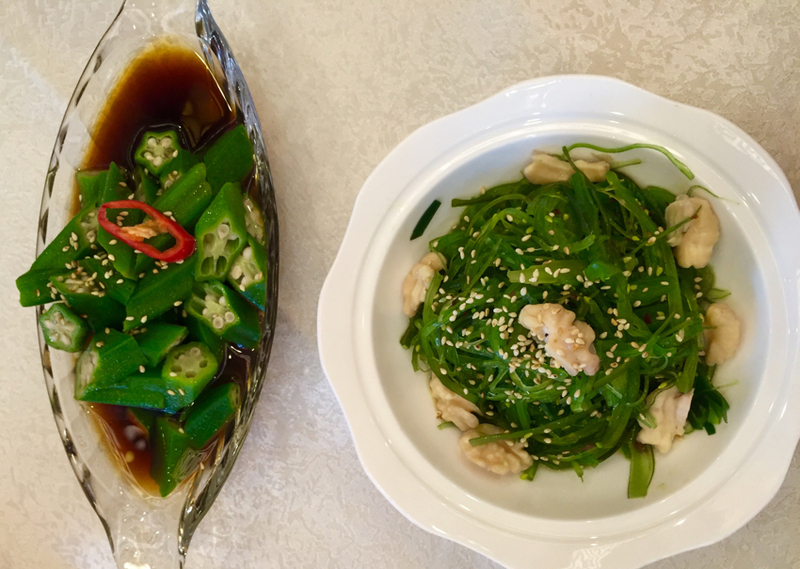 Feng advises to try (at any of the many restaurants in the street) spicy crawfish, and for more adventurous people, bullfrog, pig liver or chitterlings. 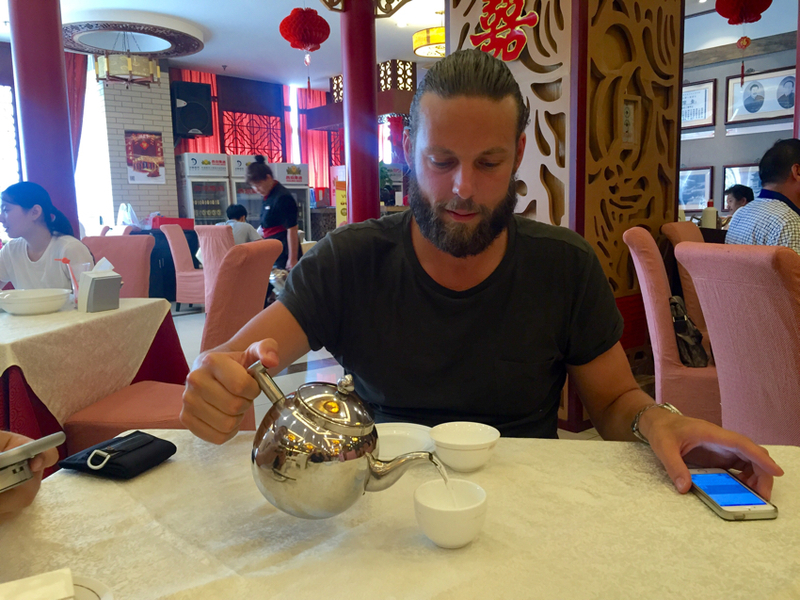 If you are not a solo traveller, try the Beijing Hot Pot (a lot of food). Go there for dinner, the red lanterns ensures a cosy atmosphere! 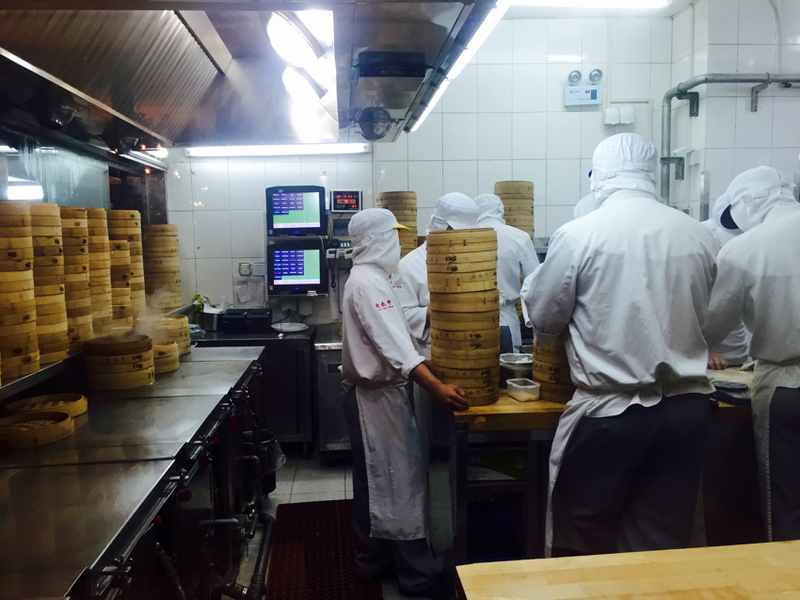 We were not surprised when Feng recommended noodles, dim sum and dumplings. They are simply delicious and easy to find, every time, everywhere. 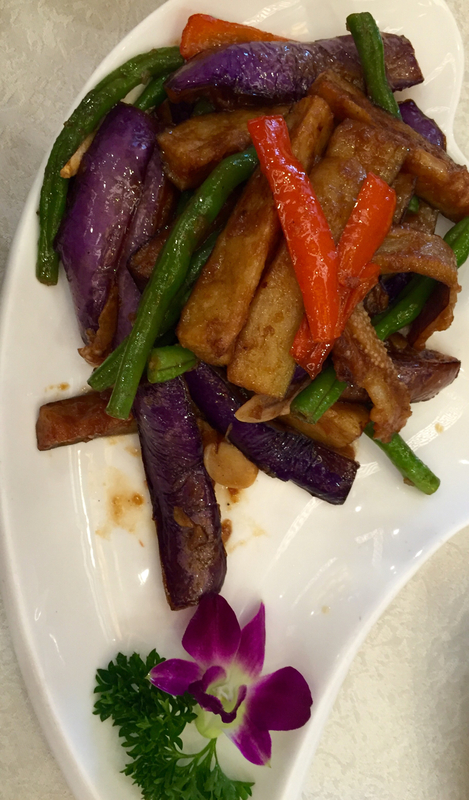 Choose the restaurants where you see (mostly) Chinese people. It means that the food rotation is high (which means fresh food), that it’s prepared as it should be and that you will have good value for money. You just can’t go wrong. Enjoy! 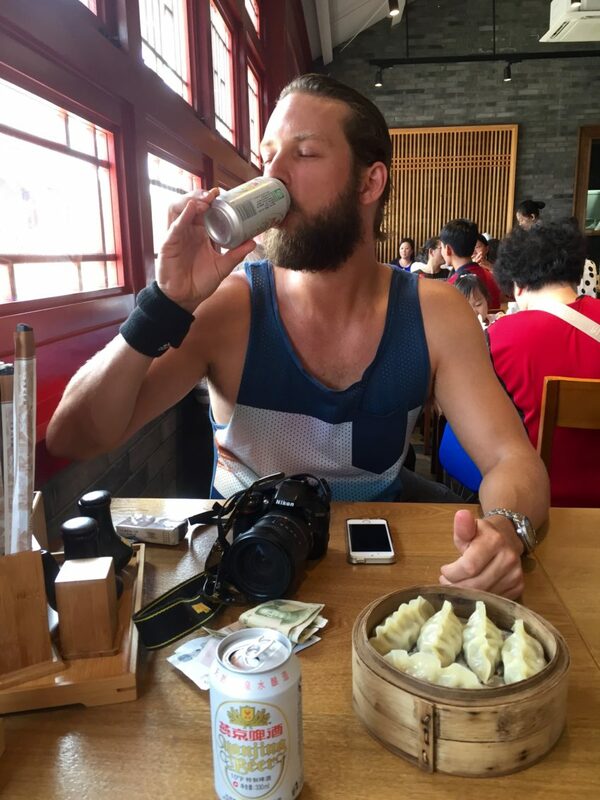 More about China? Get inspired here!